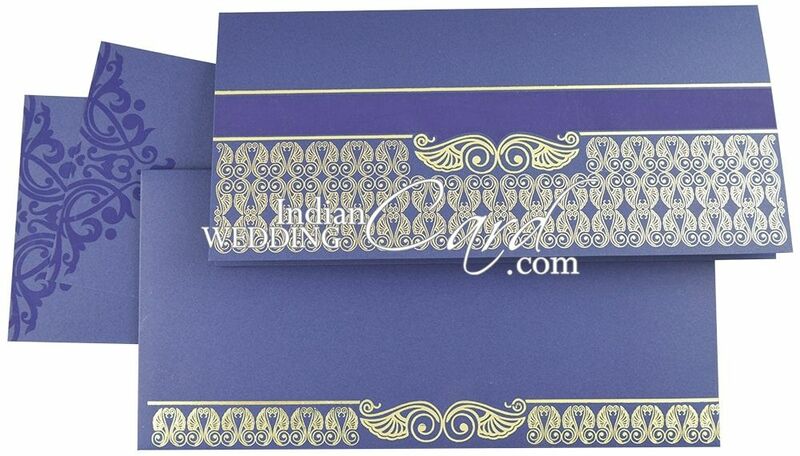 A matt occur blue band with gold foil border beautifies the front. 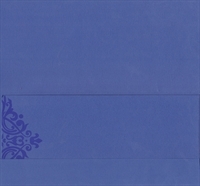 Envelope also has same border as front in foil. 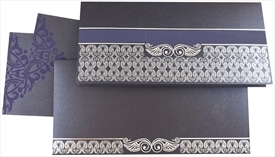 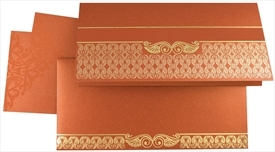 The inserts are decorated with motif in self-print. 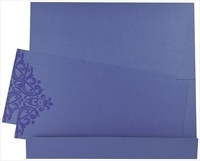 Blue color paper (250 gsm) for main card, envelope and 2 inserts.